North Sydney needs a vision. Over the next 30 years the city's residential population is predicted to grow by 30 percent. The streets of North Sydney are about to be challenged by a period of major, important infrastructure projects that will impact our daily lives. Managing North Sydney through this time of change and defending our communities requires strong leadership and professional management skills. Community 1st, a group of enthusiastic, committed local residents with a solid mix of professional, business and community experience will provide that leadership. For the past 5 years leadership has been sadly lacking from our elected Council. It has been dysfunctional, an embarrassment, and descended into personality politics rather than accept its responsibility to represent residents and ratepayers. The current council has lost the respect and trust of the North Sydney community and re-electing them will only commit the city to three more wasted years of inaction. 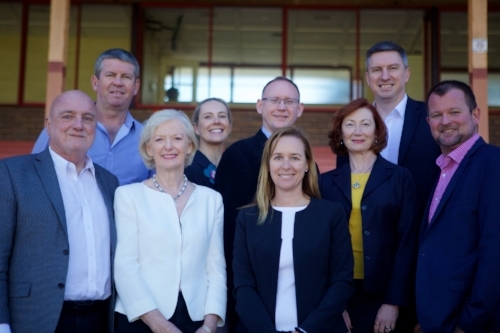 North Sydney Council needs a new team with new ideas and a new approach. The Community 1st Team offers that vision.